Taverna Opa Orlando, with its authentic Greek cuisine and lively atmosphere, transports us to the Greek Isles without the need for packing or invasive airport security checks. 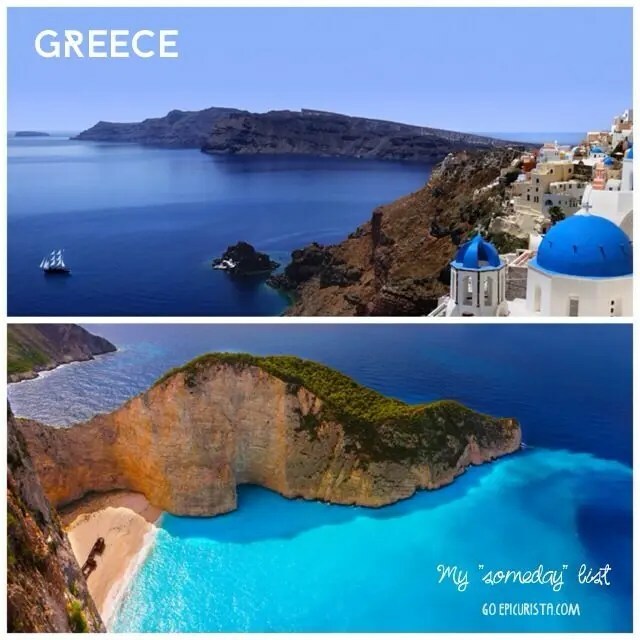 A trip to Greece is on my “someday list” – the things I wish to do someday (sounds better than a “bucket list” don’t you think?) Since a journey to Greece is not feasible right now, a little delicious creativity is in order. 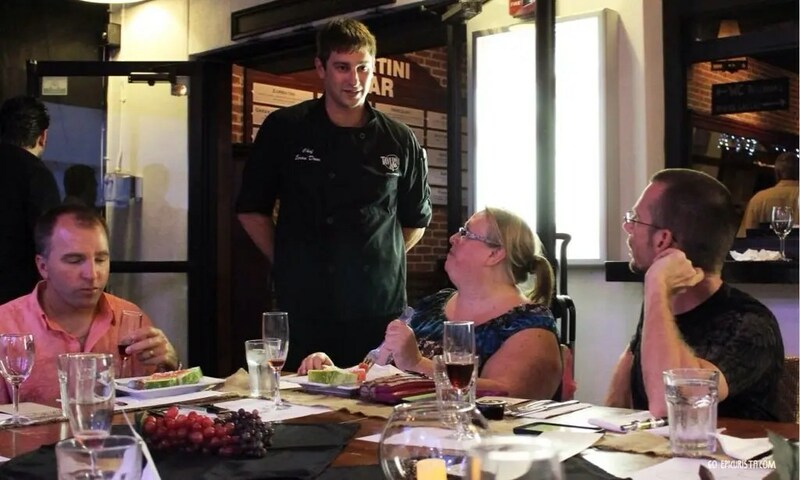 Lucky for me, and you, Taverna Opa hosts Tastings & Libations Summer Dinner series, a five course wine pairing dinner event that I consider the best wine dinner value in Orlando. Last month, I had the absolute pleasure to #MakeSomedayHappen with friends, and enjoyed an amazing Greek culinary experience. We dined al fresco on a large rustic communal table decorated with grapevine inspired centerpieces. It was a beautiful summer night. Although a bit warm – July in Orlando after all – multiple fans kept us comfortable. The warm breeze and the food aromas helped our imagination travel to the Mediterranean. We started our journey with one of my favorite Taverna Opa treats, hummus made fresh at the table. I don’t usually do bread with dinner (to save room for dessert) but fresh garlic and chickpeas mashed together and scooped onto warm herb salted pita bread wedges is a nice exception. 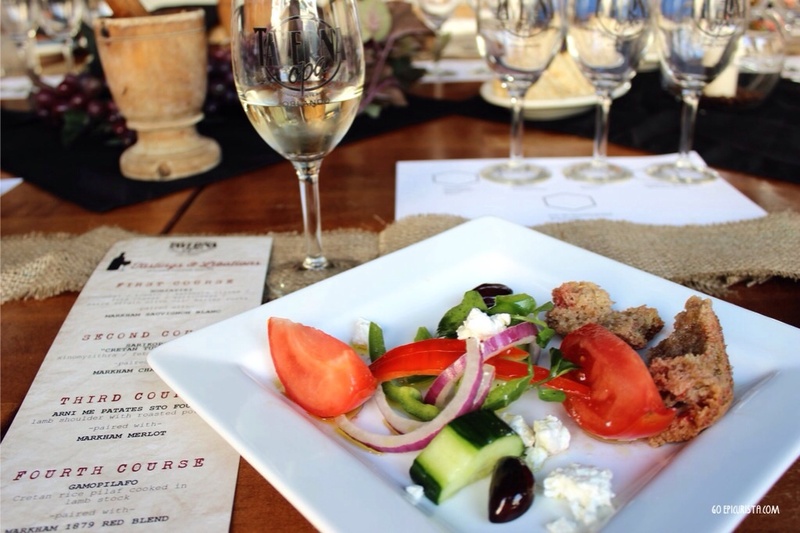 Our Crete inspired first course was Horiatiki, a colorful traditional Greek village salad with crisp cucumbers, ripe tomatoes, kalamata olives, feta cheese, watercress, extra virgin olive oil and paximadi (barley rusks). Alex Attart, Administrative Manager of Taverna Opa, attentively introduced each dish and its history which provided a greater understanding of Greek gastronomy and the dishes we were enjoying. He mentioned there is no lettuce in this salad as this is an American addition. The restaurant uses fresh locally grown produce with imported cheeses, olives and oil from Greece to truly showcase the essence of Greek cuisine – simple and fresh, high quality ingredients elevated to greatness. This salad was great indeed, paired with Markham Vineyards Sauvignon Blanc. A perfect summer menu match-up. Bright, crisp, clean and delicious. Great to sip and perfect with food. I got light floral and pineapple scents with notes of honeydew, fresh lemons and citrus fruit on the palate. The crisp minerality and acidity of this wine made my mouth water and want more. Our Greek journey was off to a great start. The second course was Sarikopita – Cretan Turban Pie – a popular breakfast dish that is gaining popularity as a savory appetizer. Phyllo dough pastry filled with xinomyzithra and feta cheese, coiled in the shape of a turban (or “sariki”), drizzled with petimezi, a grape must reduction sweetener. The pastry was incredibly buttery and rich and the grape must was a perfect addition, sweet yet not overly so. Markham Vineyards Chardonnay, with its balanced toasty oak and buttery mouthfeel paired beautifully with this dish. Every bite and sip combination was lush and rich like a Greek paradise. 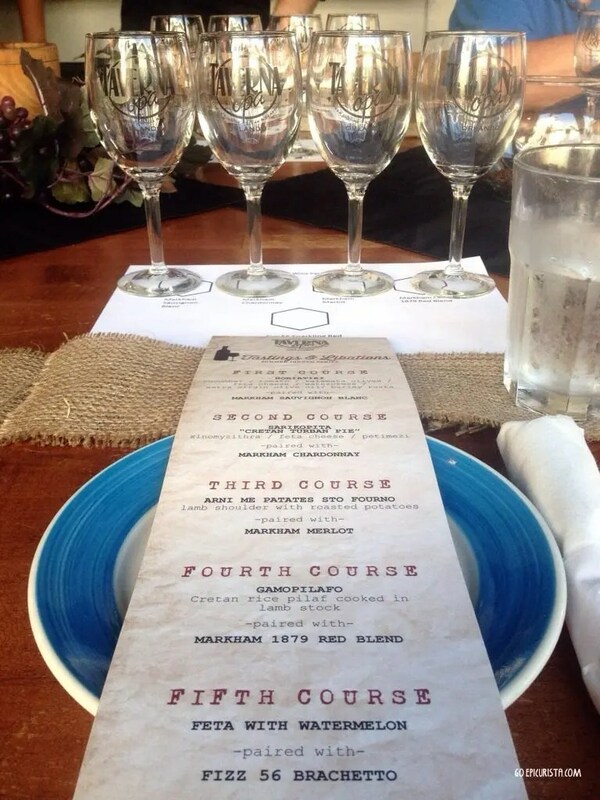 Jed Ziegler, with Southern Wine & Spirits, expertly introduced each wine pairing from Markham Vineyards. The fourth oldest continuously operating winery in Napa County since 1879, produces consistently great wines, and has been a favorite of mine for years. 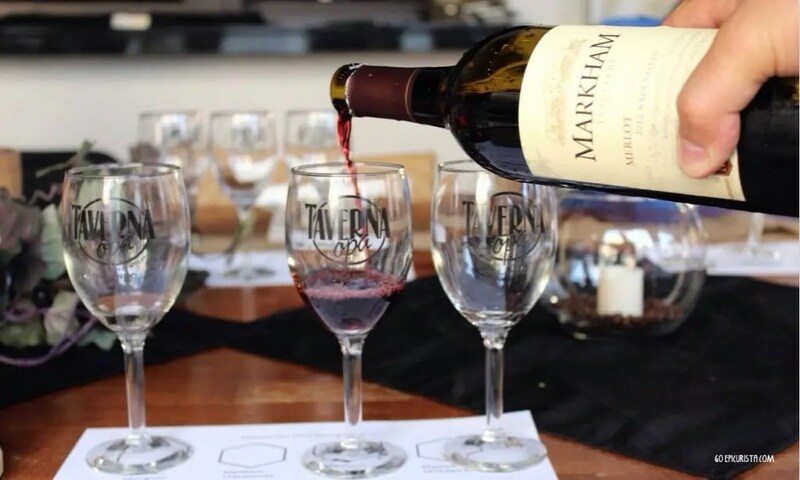 If you find yourself staring at a wine list or the store wine shelf, unsure what to buy, you can’t go wrong with any of the Markham wines. I had the pleasure of hosting a wine dinner with their president, Bryan Del Bondio, one of the nicest men in the Napa wine world I’ve ever met and a tireless promoter of the wines known all over the world. He shares with winemaker Kimberlee Nicholls a passion for creating high quality wines that are unpretentious in style, much like he is. 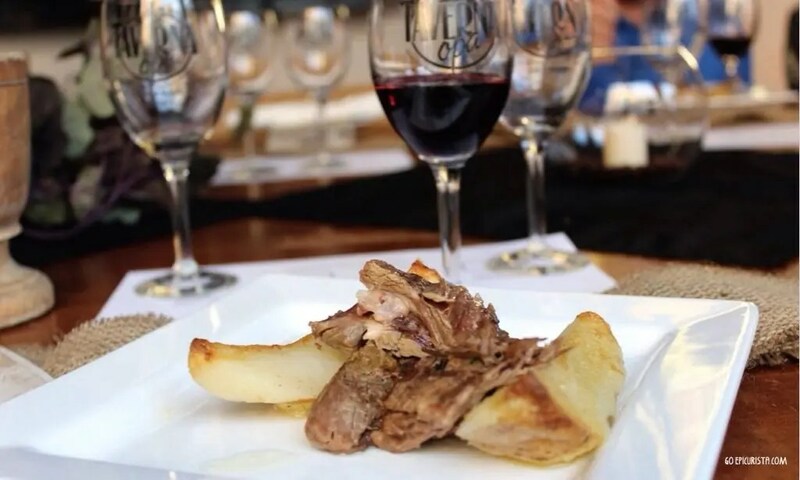 For our third course we enjoyed Arni Me Patates Sto Fourno – Lamb Shoulder with Roasted Potatoes. The lamb, slow cooked for 5 to 6 hours, was fork tender and so tasty. The potatoes, cooked together with the lamb, become infused with the meat juices and were out of this world. It was a hearty dish and, again, I was impressed by the simplicity of these high quality ingredients elevated to greatness. The flavors of oregano, lemon, olive oil, and garlic – staples in Greek cuisine – all working in harmony for a perfect bite. The dish was paired with Markham Vineyards Merlot. Full bodied with dark fruit, cherry, jammy notes and balanced tannins. This dark ruby gem is blended with Cabernet Sauvignon, petite sirah, cabernet franc and syrah which gives it character and substance. The fourth course was a rare treat. 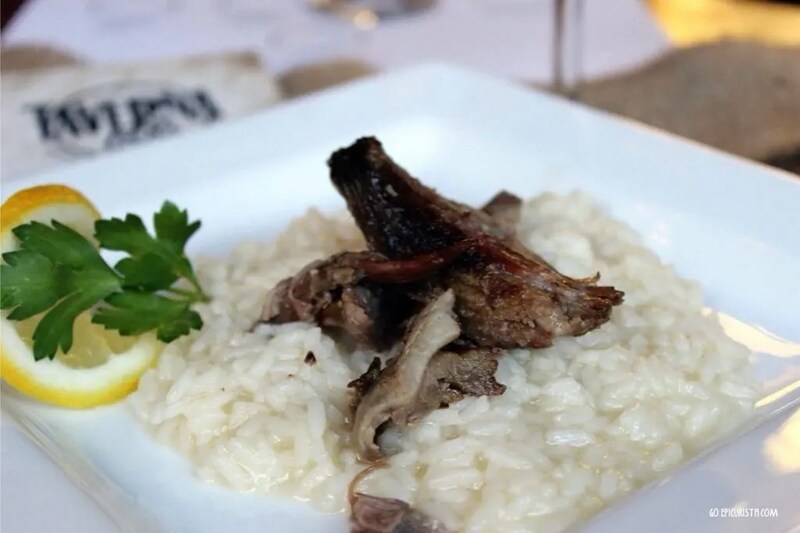 Gamopilafo, a Cretan rice pilaf cooked in lamb stock. This labor intensive dish requires slow cooking and meticulous attention for over 8 hours. It is not a “set it and forget it” kind of dish so it was not surprising to learn it is only served at Greek weddings. It had a similar consistency to risotto, infused with “lots of butter” according to Chef Evan. It was thick, creamy and full of flavor, derived mostly from the high quality of the lamb and the butter used. My favorite pairing of the night was the Gamopilafo with Markham Vineyards Cellar 1879 Blend. 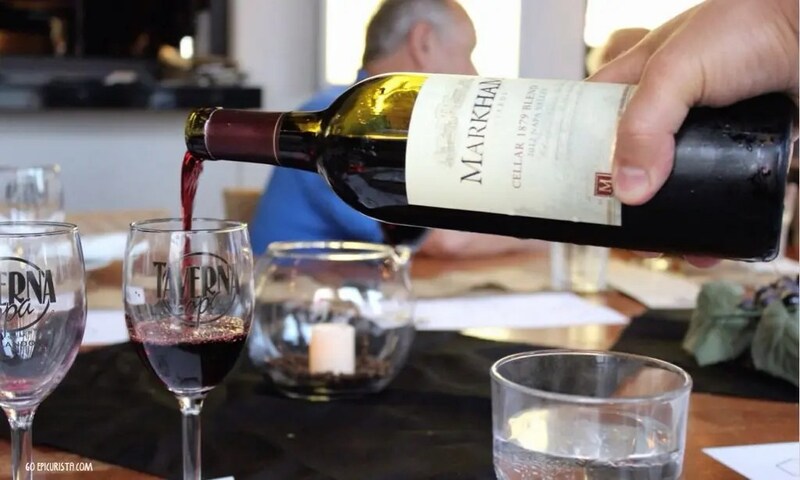 This red blend of Merlot, Cabernet Sauvignon, Petit Verdot and Petite Sirah offered earthy smokey tones, dark cherry fruit and blackberry jam flavors which brought out the richness of the dish. It has a velvety mouthfeel, elegant and complex. A must add to your wine list. 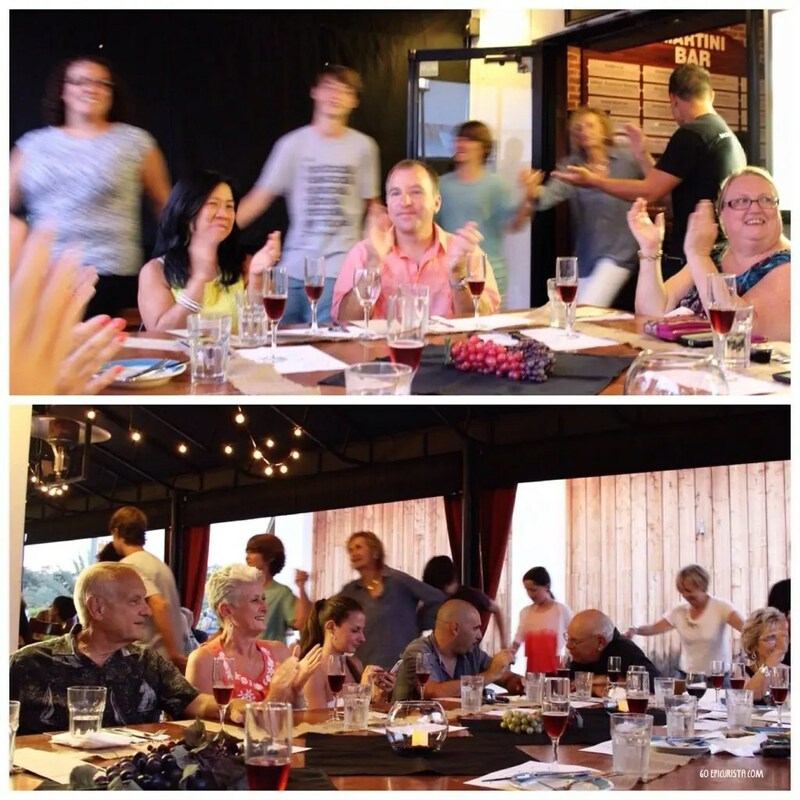 As the conversation around the table grew livelier, the results of multiple glasses of wine no doubt, staff and guests joined in the Dancing Zorba and circled our table to everyone’s cheer. This traditional Cretan song played in Greek Tavernas around the world truly adds to the experience and helps you feel as though you have traveled to Greece. One of the fun elements of dining at Taverna Opa is you never know when a dance is going to break out and napkins will fly in the air! If you’re daring, you can even join the belly dancer on top of the tables. Ready to dance on tables? We finished this amazing dinner with Fresh Watermelon with Greek Feta Cheese and Fresh Mint. 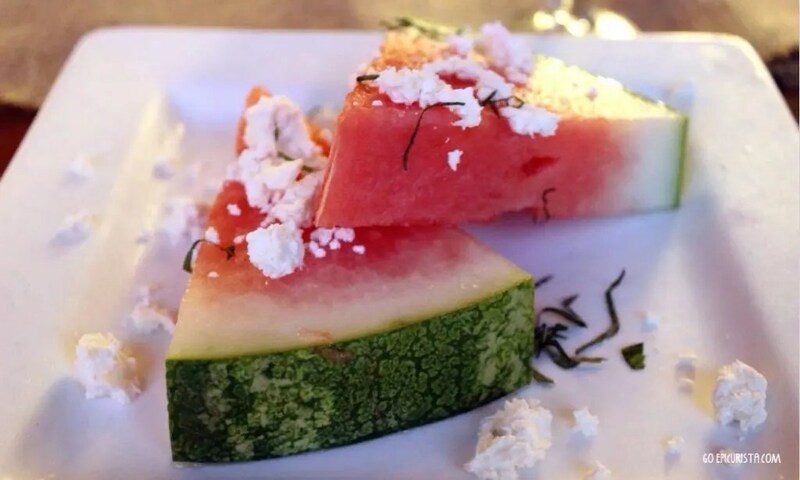 A perfect ending to this rich, flavorful dinner and my new favorite way to eat watermelon. It was a refreshing Summer treat. The dish was paired with Fizz 56 Brachetto Spumante, a sparkling red wine that was delightful. The Brachetto grape is native to the Piedmonte region of Italy, light-bodied, highly aromatic and naturally effervescent. The wine was a beautiful sweet treat, with pretty ruby-red color, aromas of rose petals and berries and luscious flavors of raspberry and cherries. I love dessert and this was dessert in a glass. The name Fizz 56 alludes to the 56 million bubbles in every bottle! That’s a lot of bubbles! Taverna Opa did an outstanding job! A true summer feast in every way. The dishes were full of flavor and richness with simple ingredients elevated to greatness. The portions were generous leaving everyone pleasantly full without overdoing it. Chef Evan Done greeted guests at the conclusion of the dinner and shared the intricacies of timing when producing a special menu like this. His efforts were praised by everyone. 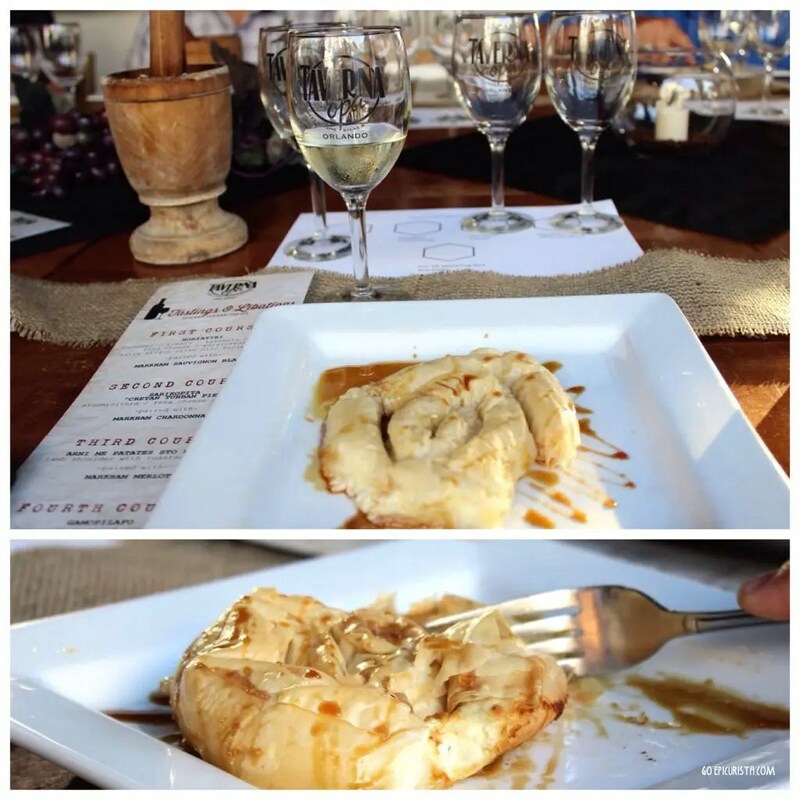 The wines were perfect pairings, bringing out the fresh flavors of each dish. 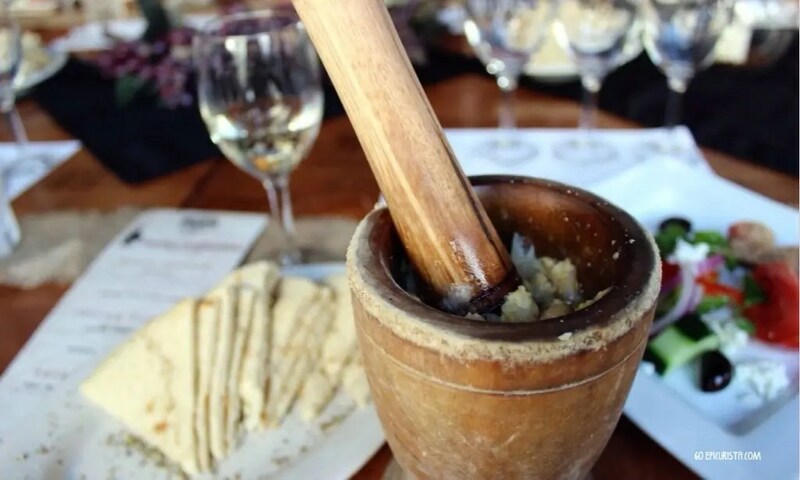 Serving Markham Vineyards wines was worth the price of dinner alone, which is one of the many reasons I considered this dinner experience such a great value at $45pp. The service was attentive and friendly. I loved the casual and relaxing feel of dinner in the patio, while inside dancing and fun music filled the place with energy. If you want a quiet spot, the patio is perfect. “Discovery of the secrets of Cretan cuisine is an invitation to sample the art of living” and living we did! 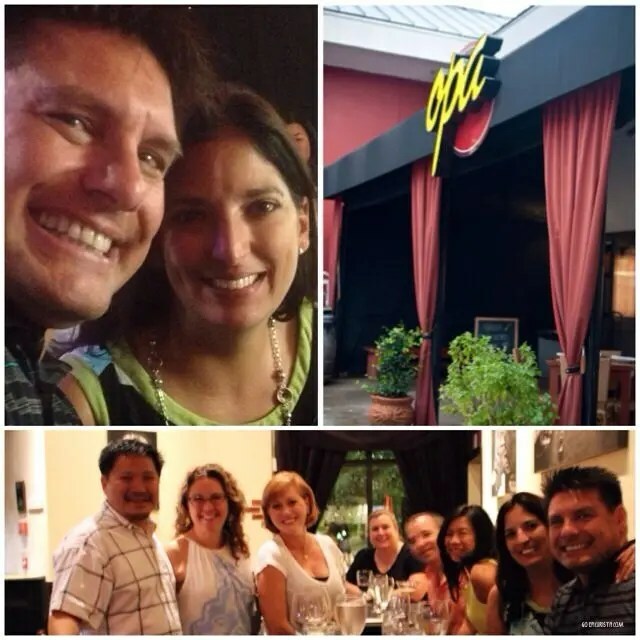 We are lucky to have these opportunities in Orlando to enjoy great food and wine with friends. My mission is to #MakeSomedayHappen with every delicious bite, sip & trip and this meal certainly helped us accomplish that! 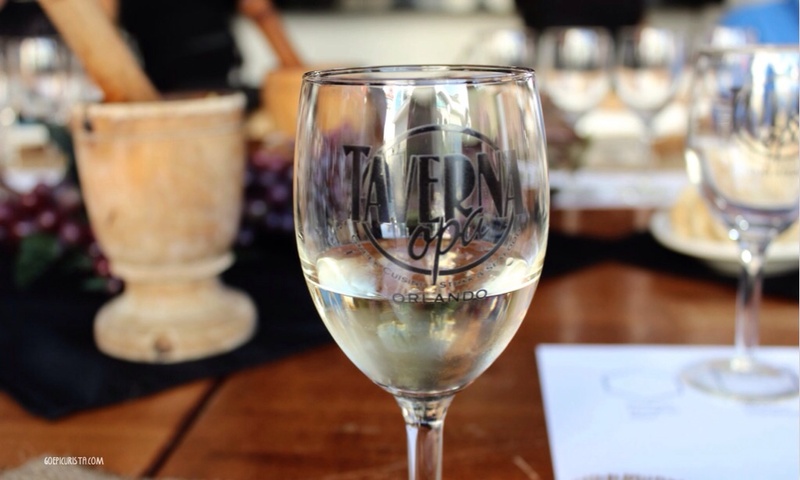 Don’t miss Taverna Opa’s last wine dinner of the summer on Thursday August 21 at 6:30pm. A few seats are still available. This five course tasting menu will be paired with Greek wines for only $45pp (not including tax and gratuity) Call 407-341-8660 to make a reservation and take that vacation to the Greek Isles you’ve been saying you want to take “someday”. GO #MakeSomedayHappen! Looking for more fun outing ideas to celebrate life with great food, wine and friends? Check out my Top 9 GO Events List taking place now through September 30 here and here. By the time I got to Arni Me Patates Sto Fourno my mouth was watering. I love how you discuss wine pairing with the food (I’m still learning about wines so this was informative). Plus, you sold me on Tavern Opa – good food, good wine and a fun atmosphere – yes, please. PS- I went with my family to visit Greece when I was young. At the time I didn’t appreciate the food (kicking myself) – what I wouldn’t give to go back!!! Ann, sadly we don’t always appreciate the opportunities we get when we are young but that’s ok, because it just means we get to appreciate them even more as we get older. Definitely check out Taverna Opa, I promise you won’t be disappointed. Just for a minute, you can pretend you are a kid back in Greece, except this time you get to drink wine! Thanks for stopping by. Cheers!